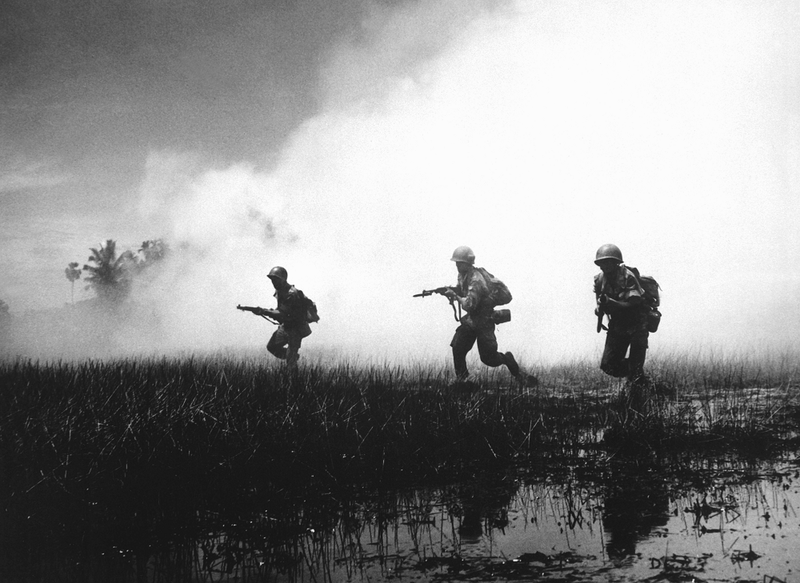 Could the United States Have Really Won the Vietnam War? Mark Moyar, the scholar of U.S. foreign and military policy, recently had the opportunity to update an older argument on the viability of the Vietnam War. Moyar argues that the historical consensus on the war is wrong on several points, and that in fact the United States could have won the war and preserved the Saigon government at acceptable cost. While Moyar’s argument is worth consideration, he still fails to make his case against the long-standing consensus on the war. Mark Moyar effectively demolishes some common myths. South Vietnam was a viable nation-state by 1972, afflicted by internal armed opposition but not overwhelmed by it. The fighting ability of pro-Hanoi forces in the South had been badly wounded in 1968, and would never recover. With U.S. collaboration, South Vietnam was capable of blunting and turning back even concerted North Vietnamese offensives. In contrast to contemporary depictions, the Saigon government was altogether more democratic and less repressive than its counterpart in Hanoi. Finally, the war was not nearly as unpopular in the United States as historical memory serves to indicate. But this did not mean that South Vietnam could survive on its own, or that there was any medium-term prospect of the Saigon government achieving the degree of self-sufficiency enjoyed by, for example, the Seoul government by the 1980s. The Hanoi government enjoyed several major advantages over its Saigon counterpart, even after the disaster of 1968. Hanoi’s repressive state machinery allowed it to clamp down on internal dissent, and destroy prospective domestic opponents in a way that Saigon could not. The Saigon government suffered from factional conflict typical of nascent democracies, as well as a robust—if no longer necessarily fatal—insurgency. For reasons related to this, Hanoi consistently deployed more effective fighting forces than Saigon. 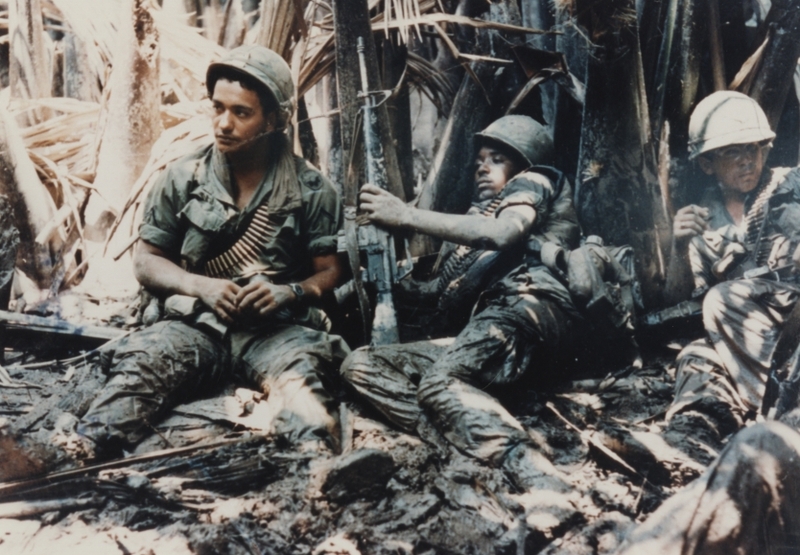 The haplessness of the Army of the Republic of Vietnam has been overstated, but both foreign observation and direct military experience showed that it struggled to match its northern counterpart on even terms, even when fighting on its own territory. While foreign patrons—France and the United States for Saigon, China and the USSR for Hanoi—poured material and experience into their respective proxies, North Vietnamese forces inherited a stronger military tradition, and maintained that advantage for the entirety of the conflict. Hanoi also had the advantage of being able to move up and down the escalatory ladder at will. U.S. military forces could have taken active steps to disrupt a portion of northern support for the Viet Cong, through occupying key points of the Ho Chi Minh Trail—a policy that Moyar has advocated—but could not completely cut the North off from the South. Through land, maritime and extraterritorial infiltration, Hanoi could have continued to turn the dial up and down on Saigon—and Washington—in ways that the United States would have struggled to respond to. Moyar waves off most of the concerns with domestic discontent, correctly noting that there was more support for the war than commonly believed, but incorrectly suggesting that vigorous rhetoric on the part of the U.S. government could have resolved the domestic problem. Opposition to the war was strongly held—there’s every reason to believe that support for the war mostly came through tribal disapproval of those who opposed the war. Pres. Richard Nixon faced virtually no opposition to his abandonment of South Vietnam in 1972, and Gerald Ford was hard pressed to generate any meaningful support for reengagement in 1975. Both presidential candidates campaigned on disengagement in 1968, and again in 1972, suggesting that very few people saw any domestic political angle in escalating the war. Furthermore, experience in Iraq and Afghanistan suggests little potential for an all-out rhetorical strategy; the Iraq War consistently became less popular, despite successive double downs from the Bush administration; the Bush, Obama and Trump administrations have all maintained support for Afghanistan operations mainly by keeping them as far from the front pages as possible. Could the United States have won? In an utterly banal sense, the United States could have won the Vietnam War by invading the North, seizing its urban centers, putting the whole of the country under the control of the Saigon government and waging a destructive counter-insurgency campaign for an unspecified number of years. The U.S. government could either have shrugged off domestic dissent or taken active steps to repress it. In an only slightly less banal sense, the United States could have maintained a long-term defense association with South Vietnam, contributing arms, air power and on occasion ground troops in order to fend off minor Northern incursions and full-scale Northern invasions. The ability of the North to disrupt Southern politics notwithstanding, Washington might possibly have held South Vietnam together long enough for the latter to develop a strong internal economy, a robust social connection with its population and professional military forces capable of defeating the North in battle. This policy would have been costly, and would only have mildly ameliorated domestic protests against the war. It is entirely possible that the effort would have outlasted the Cold War itself. Wars are only rarely won through the dictation of terms in the occupied capital of the enemy. In 1972, American political leadership made the overdue decision that any benefit of further contribution to Vietnam was outweighed by costs in material, in national dissensus and in international reputation. This leadership came to the conclusion that maintaining the U.S. commitment to Europe, North Asia and the Middle East was vastly more important to the struggle against the Soviet Union than continued fighting in Southeast Asia. Continuing the war would have incurred other costs. Hanoi’s conquest of South Vietnam was violent and brutal, killing thousands and forcing many others to flee as refugees. But continuing the fight against the North surely would also have been brutal, especially if it had involved direct coercive measures against Hanoi. Efforts to disrupt the Ho Chi Minh Trail would have led to heavier fighting in Cambodia and Laos. Finally, it’s worth putting the broader strategic context on the table. The Sino-Soviet split demonstrated conclusively that the “socialist bloc” was nothing of the kind. Communist states could disagree with one another in violent ways. Ho Chi Minh and his successors may have been, as Moyar points out, “doctrinaire Communists,” but Vietnam itself invaded another communist state in 1977, and went to war with one of its erstwhile patrons in 1979. The U.S. “loss” of Southeast Asia had no noticeable effect on the broader strategic balance between Moscow and Washington, a conclusion to which the Europeans had reached at some point in the late 1960s. Hanoi remains in control of all of Vietnam today. 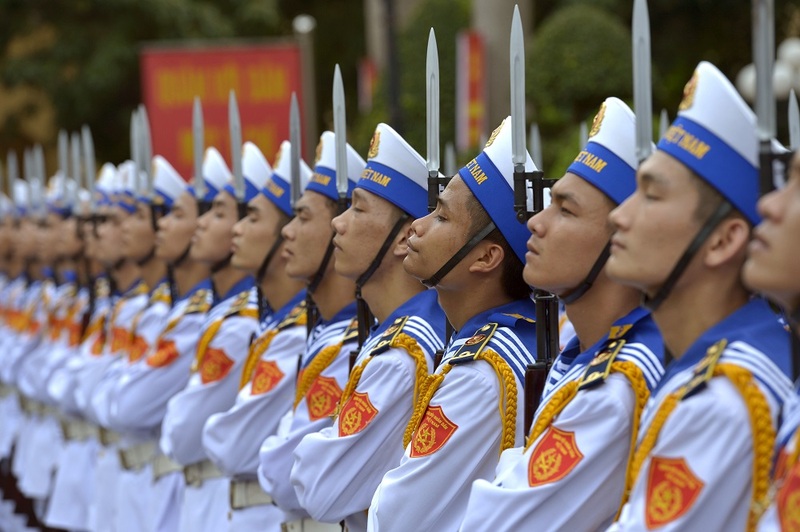 This government has proven the most receptive of any state in Southeast Asia to U.S. efforts to curb Chinese expansionism—and the military relationship between Hanoi and Washington grows daily. This government was also at the forefront of the now-defunct Trans-Pacific Partnership, an effort to bring U.S. economic rules to the Asia-Pacific. The human tragedy of the destruction of the Republic of Vietnam should never be minimized, but the strategic significance of its loss was, in the long run, trivial. As U.S. policymakers eventually decided, the game was simply not worth the candle.